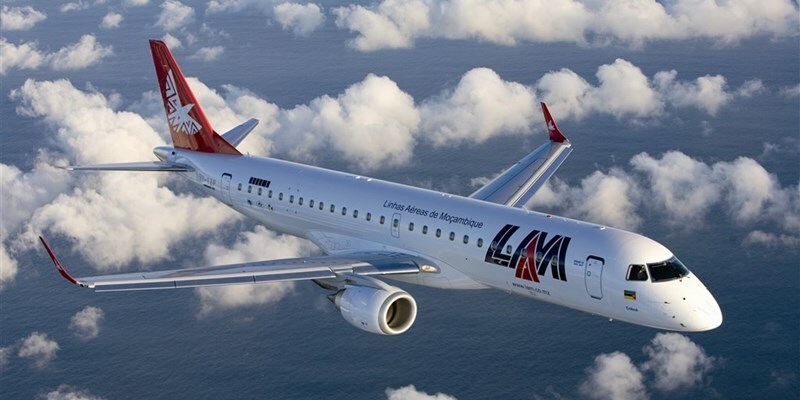 LAM Mozambique Airlines is planning to reintroduce a number of routes following an aircraft shortage last year relating to maintenance checks. The airline is bringing its Johannesburg-Tete direct service back on February 3. Passengers have been rerouted via Maputo since July last year due to the aircraft shortage. The direct Tete flights will operate on Sundays and Wednesdays. Flight TM335 will be operated by a 50-seater aircraft departing Tete at 11h05 and arriving in Johannesburg at 13h25. Flight TM334 departs Johannesburg at 14h05, arriving in Tete at 16h25. In addition to Tete, the airline will also be reintroducing services between Beira and Tete on Sundays, Mondays, Wednesdays and Fridays. Tete to Pemba flights will be added on Mondays and Fridays, Beira to Pemba flights will operate on Mondays and Fridays and Beira-Quelimane flights will be reintroduced on Tuesdays and Thursdays. An additional Beira-Nampula flight will also be added on Tuesdays. Ginabay says the airline is working on reintroducing direct flights from Johannesburg to Inhambane and Vilanculos. LAM is working with suppliers to source specific aircraft that could land at these airports, says Ginabay. Currently, LAM flies from Maputo to Johannesburg twice a day and from Nampula and Beira to Johannesburg three times a week.